I was reading a story about Sweden importing garbage from Italy and it reminded me of the weird garbage problem I saw in Venice. They had a small market square next to our hotel. In the day time, vendors set up shops to sell trinkets. 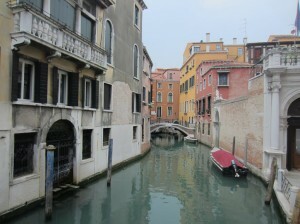 Like everything in Venice, it was close to a waterway. At night, all the shopkeepers put their garbage, in bags, in a pile right next to the waterway. During the night, birds would come to the garbage pile and rip open all the bags. Garbage spills everywhere, including into the water. It’s really a sad sight. For a city that prides itself on their beautiful water canals, they seem to have forgotten simple steps to protect it: provide garbage bins. In the morning I see workers come by and sweep the garbage up and take it away. But it’s a little too late since some of the garbage is already floating in the water.